I just realized I forgot part of the shopping list. 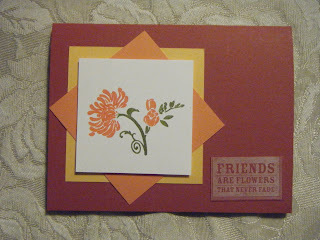 This is a close up of one of the cards you will create. I want to list for you the inks I used to make all the cards. Come back tomorrow for s close up look of one or two of the other cards.